If you’re thinking about planning a holiday to a ski resort in Austria this winter, you might run into an unusual problem – too much snow. Early January has seen record snowfalls of up to 18ft across Austria, Germany, and France, resulting in lift closures and a large increase in avalanche risks. The snow has also blocked roads and railways across Europe, leaving at least 1,000 tourists in Austria stranded. The Tirol and Vorarlberg regions in western Austria are the hardest hit, receiving up to 2 meters of snow in four days. In some regions, this amount of snow only falls once a decade, and others have seen the most snowfall in 30 years. The snow is a result of the intense low-pressure system and high wind gusts that have moved across Europe since the New Year. 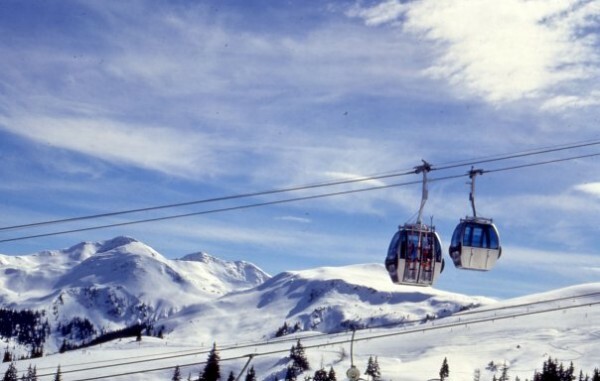 In December, the same regions of the Alps that are now blanketed in too much snowfall were experiencing too little, causing ski resorts to close for the opposite reason. As ever, it hasn’t all been plain sailing this winter. Snow ploughs are still working diligently to clear roads in the west and more heavy snow is predicted. Some Austrians and travellers have reported that guards have been posted to keep anyone exiting certain towns because of the enormous and dangerous risk of avalanches. It is estimated that close to 80,000 hotels and houses have lost electricity. In some other areas, such as the Paznaun-Ischgl resort, the roads are closed but the lifts are open and everything is continuing as normal. How long will the record snowfall continue? It’s difficult to say. But authorities are working quickly to cut through meters of snow and reopen roads to the resorts, already with some success. If you can avoid closures, then avid skiers have the possibility of enjoying the best ski conditions in a long time. But many areas will remain very dangerous. The Avalanche Warning Center in Salzburg has urged visitors to take extreme caution. Some tourists who spent their holidays in Austria are now paying exorbitant amounts of money to be airlifted out of their resort by helicopter, simply to avoid the risks associated with travel. When the season ends, this winter could go down in the record books as being one for the extremists. Or will it? The week before Christmas, Ischgl spent thousands of pounds on fake snow because it was covered in green fields. Conditions in Austria can change in an instant, and skiers who are familiar with its natural beauty are also familiar with unpredictable winter weather.